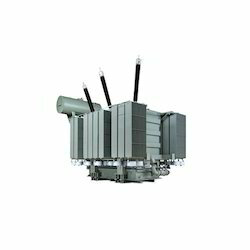 Our product range includes a wide range of electrical transformers and ct metering electrical transformer. 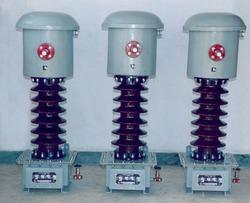 Our company has established itself as a leading name of superior quality Electrical Transformers. They are designed to present negligible load to the supply being measured and have an accurate current ratio and phase relationship to enable accurate secondary connected metering. These are constructed by passing a single primary turn (either an insulated cable or an uninsulated bus bar) through a well-insulated toroidal core wrapped with many turns of wire. This affords easy implementation and using the pass-through conductor as a single turn primary. Our company has earned great laurels with CT Metering Electrical Transformer. This product is absolutely suitable for a long-term application. These are made available to the customers at industry-leading rates and are provided as per the set industry norms and protocols as well. Owing to their good electrical conductivity and wear & tear resistance, these are widely demanded by the client.